The F1-inspired Mercedes-AMG Project One was finally revealed at this year's Frankfurt Motor Show. It is hard not to love the car's 1.6-liter V6 that's combined with four electric motors for a total of around 1,000 hp. Clearly this generation of hypercars, which includes the Aston Martin Valkyrie and McLaren BP23, will be extremely cool. While we were busy drooling over the Project One's performance, some people were doubting the car's looks. It's not ugly, but the front end does look a bit vanilla compared to the Valkyrie. We have seen some impressive Photoshop renderings in the past, but this Project One redesign is absolutely stunning. Not only does the artist, Jan Peisert, make the car look more F1-like, but also shows us how it was done in a helpful video. 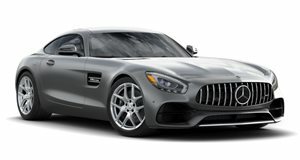 In the video, we can see the artist try to put the new AMG grill that is featured on cars like the GT and S-Class. They also experiment with adding the headlights from an older Project One render. In the end, the final design uses thin headlights that are integrated into the front grill. We thought the real car's lights look a bit tacked on, but this redesign looks very futuristic. We also love how the pointed nose makes it look more like an F1 car. We don't usually get to see how these renders are done, and we really enjoyed seeing this behind the scenes.